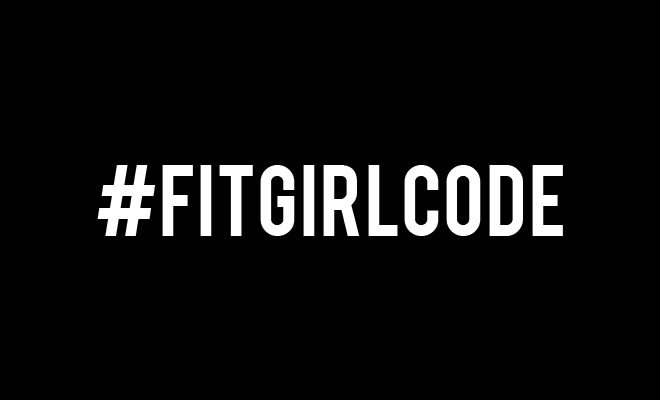 The Fitgirlcode community is very diverse! We have individuals who are just starting their Fit Journey to become healthy and fit reading our blog as well as Fit Girls who are already on their journey but are looking for motivation to continue. However, we also have soon-to-be moms in our community who tend to ask us questions about exercising while pregnant. Recently, we have written an article about inspiring Fit Moms on Instagram. Now, it’s time to pay some attention to those who are still carrying their little ones with them and are trying to keep up their Fit Journey. Take a look at what you can do below! By now all of us know that yoga is great when you need to relax. Therefore, practicing yoga can be very beneficial during pregnancy as it helps you relax, practice deep and consistent breathing which can help during labor. Yoga exercises also strengthen muscles and core as well as improve flexibility. As you move through your pregnancy, it is of course important not to do too difficult moves where you tug your stomach too much, lay on it or on your back for too long. Want to know what exercises you can do? Take a look here for pregnancy-safe yoga moves! Swimming is one of the safest forms of exercise. Swimming takes the weight off your legs and back and is a great way to improve circulation. Also, while pregnant, your spine and shoulders tend to round forward. Swimming strengthens these muscles and relieves pain. Another advantage of being in the water is that your body won’t over heat when doing exercises and less injuries will occur. You can just dip in the pool and take a swim yourself, but you can also join water aerobics classes for pregnant women! These classes tend to be fun as you’re in a group and you do exercises that are baby-safe! Oh, and remember to drink lots of water when exercising, doesn’t matter what you’re doing! You may be surrounded by water, but you’re still sweating and it’s important to keep your body hydrated. Pilates! Pilates are a great exercise to strengthen your belly muscles. It helps you gain body strength, become flexible and balanced. Pilates are also great when you’re facing back pain. They help reduce the pain and strengthen your pelvic floor muscles. Oh, and just like yoga, Pilates are great to help you relax and control your breathing. The chance to strain joints is minimal and is therefore great for pregnant women. Moms are true superheroes in our eyes! We believe that they are meant to be put in the spotlight. Baby Cubby agrees with us and decided to team up with Fitgirlcode to give all moms-to-be (as well as recent new moms!) 15% discount on all their goods! From their own experience, they inspire moms to see their importance and make parenting easier through their products. They provide a fun shopping experience and are passionate about what they believe in, just like us 😉 With the code ‘fitgirlcode15’ you’ll get the discount until the 22nd of June, 2017. Shop around, Fit Moms!